Halong Bay, Vietnam was one of the destinations that I most wanted to visit in Southeast Asia, and I finally made it there last week! 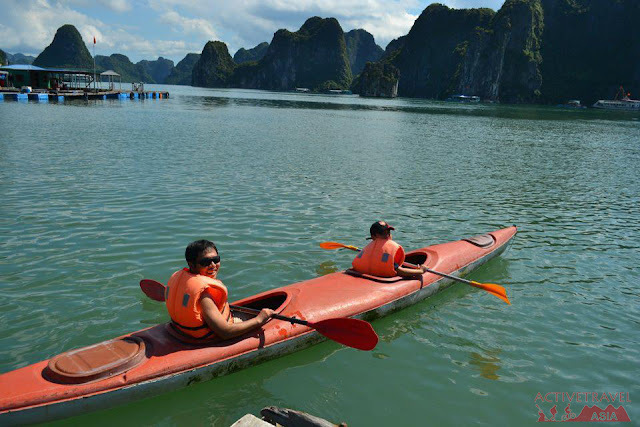 I kayaked on the still, glassy waters of Halong Bay which was breathtaking, calming and humbling. Gliding peacefully and quietly on the water of this world heritage listed site, surrounded by nature at its untouched best, was an experience I’m truly grateful for. 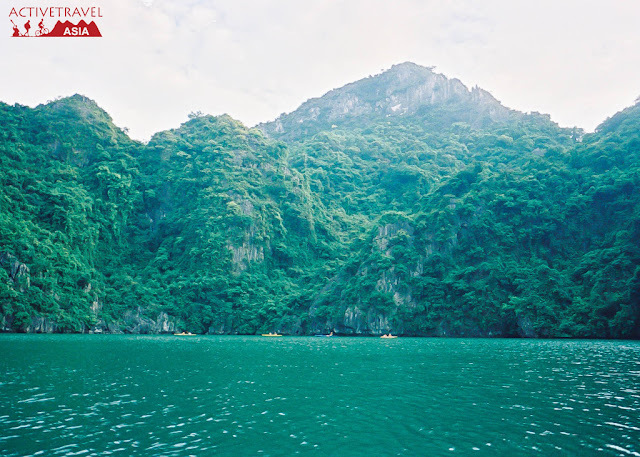 Halong translates to ‘descending dragon’ and legend has it that Halong Bay was created by a dragon from the mountains. Although many sailors claim to have seen Vietnam’s very own Loch Ness monster, the ‘tarasque’, sadly I didn’t catch a glimpse of the gigantic sea creature. I’m told Halong Bay can be very busy during peak season so I feel lucky to have been in the area when many others weren’t, to really appreciate the tranquility. 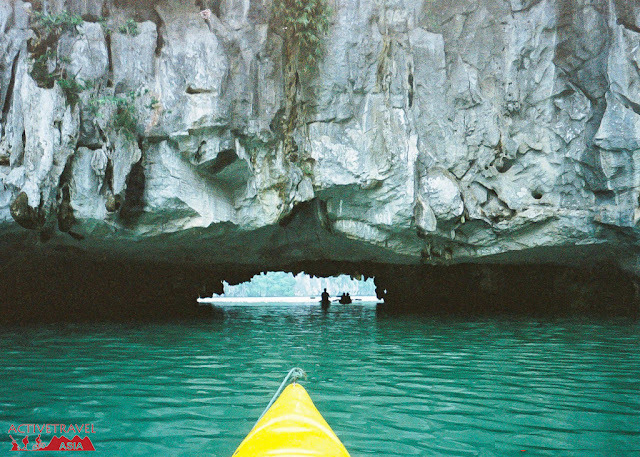 So there you have it – I hope you enjoyed some of the snaps of my stunning kayak through the grottoes. And now that the fun is over, it’s back to writing more food posts to share with you! I’ve got loads more up my sleeve so plenty more is coming your way. I hope you’re enjoying reading my posts as much as I enjoy writing them! 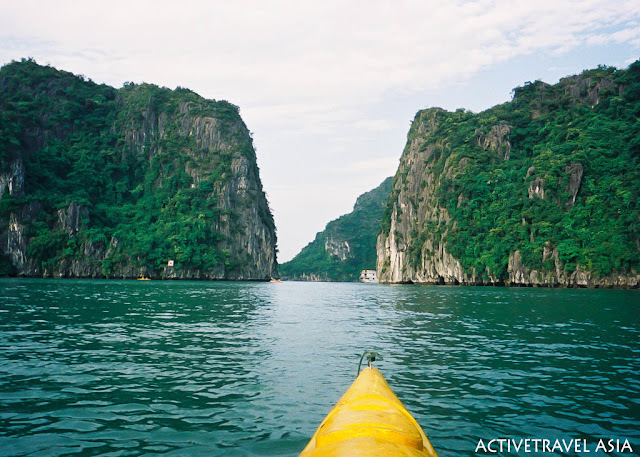 If you inspire to explore Halong Bay by kayak, check out the exciting tour of Activetravel Asia. ACTIVETRAVEL ASIA provides you with high quality traditional sea kayaks and equipment, delightful meals, kayak technique instruction, and an overall ecstatic time in paradise. You will learn about the natural world and the efforts to preserve it. The tour leaders are enthusiastic, experienced professionals with the ability to provide you with a safe and enjoyable outdoor adventure. About ActiveTravel Asia (ATA): ATA is one of the Indochina's leading adventure travel companies. ATA offers a wide selection of Vietnam, Laos, Cambodia and Myanmar adventure tours, including hiking and trekking, biking, motorcycling, overland touring and family travel packages. ATA’s packages and tailor-made private itineraries will take you through exotic destinations to really experience the culture, history and nature of Asia.